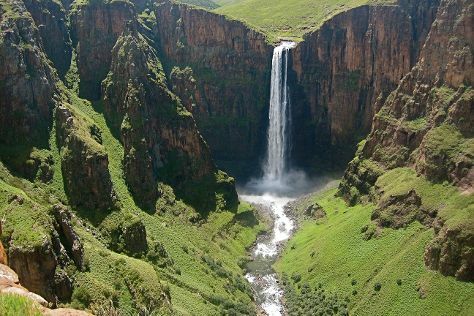 Get outdoors at Maletsunyane Falls and Maluti Mountains. Get out of town with these interesting Maseru side-trips: Gates of Paradise Pass (in Malealea), Morija Museum & Archives (in Morija) and Teyateyaneng (Setsoto Design Gallery & Ha Kome Cave Houses). There's much more to do: steep yourself in history at Thaba-Bosiu National Monument, stop by Lesotho Co-operative Handicrafts, see human ingenuity at work at Mohale Dam, and try to win big at Lesotho Sun Casino. To see maps, where to stay, and other tourist information, go to the Maseru trip builder. Prague, Czech Republic to Maseru is an approximately 27-hour flight. The time zone difference moving from Central European Time (CET) to South Africa Standard Time (SAST) is 1 hour. Prepare for a bit warmer weather when traveling from Prague in April: high temperatures in Maseru hover around 23°C and lows are around 12°C. Cap off your sightseeing on the 28th (Fri) early enough to travel back home.